JRCS has been involved in the Jack Petchey award scheme for many years and have now been awarded Gold standard status. This scheme allows us to recognise young people who have gone above and beyond in their local community. Students are nominated by their peers and a committee of young people select monthly winners – those chosen win £250 to spend on something of their choice within the school that will benefit others. Examples are – cameras for media, costumes for drama, bibs for netball, aprons for food technology, table football for the 6th form common room and uniforms for our cheerleader team. Our vision is of a world where young people have high aspirations; the opportunity to develop their potential; the chance to be architects of their own future; to play a full part in society and to be valued and recognized for the positive things they achieve. To enable young people in our school community to achieve their potential by inspiring, investing in, developing and promoting activities that increase their personal, social, emotional and physical development. We are also proud that students collect nominations, decide winners and support the Leader award throughout the year. Inspire and raise the aspirations of young people. • Affirm, reward and celebrate achievement. • Value young people and those who work with them, advocating their views and putting young peoples’ voice at the center of our work. • Develop young peoples’ confidence, motivating them to take on new challenges and to believe in themselves. • Be positive and promote a positive perspective on life. • Be inclusive, working at grass roots and building communities. • Promote a culture of ‘giving something back’. • Strive for excellence in our work. 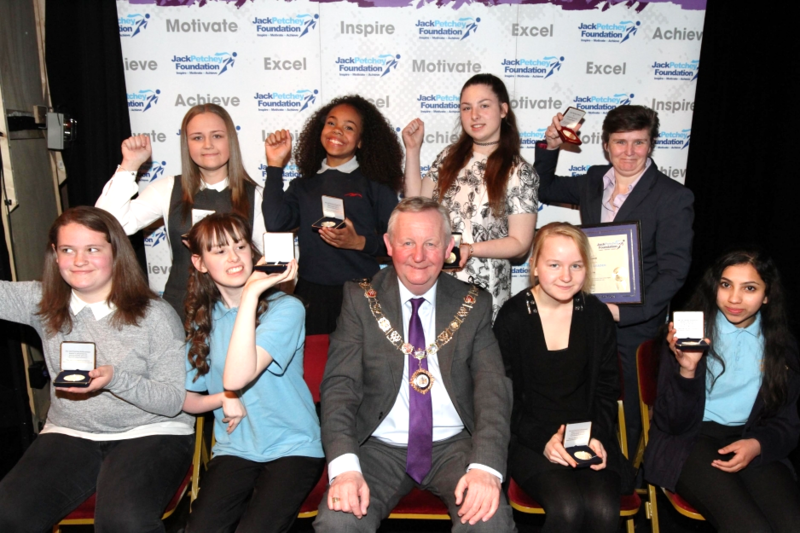 Please use this page to find out how the Jack Petchey Awards impact upon JRCS. Use the space below to make your nominations, or if you want to find out more speak to us if you see us around school or drop the team leader an e-mail.